Culture of peoples that inhabited the New World territory in pre-Columbian era has always attracted the attention of scientists from all over the world. Not only scientists but just curious people also took part in the researches – dozens of daredevils of different nationalities set off on the dangerous expedition into the wild places of Yucatan, the Amazon and the Peruvian desert for discoveries. Vanished from history indigenous populations of Central and South America have always attracted by their originality, mysteriousness and uniqueness. 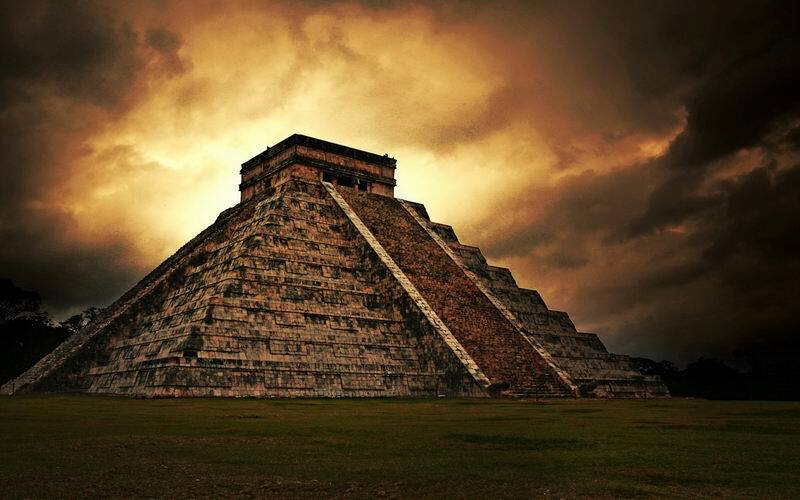 The Mayan calendar, which has become a topic for broad discussions in mass media recently, once again has attracted public attention to the mysteries of this ancient and once mighty people. Now for curtain everyone knows that the Mayan calendar allegedly comes to an end on December, 21st 2012 which gives a lot of room for speculations by various shams all over the world. But what do we really know about the Mayan civilization and the people who have dedicated their lives to the study of the language and the culture of this nation? Spanish and French scientists and monks, American and British adventurers and philologists tried to understand the system of Mayan hieroglyphic writing, but a full deciphering of not just the certain words, but the whole texts was offered only in the middle of the last century by Russian scientist Yuri Knorozov. This delicate and painstaking work on the study of languages ​​and cultures of pre-Columbian era which was conducted by Russian scientists in collaboration with their foreign colleagues became the main topic for discussions of VIGIL” with Prof. Galina Yershova, the head of the Knorozov Center for Mesoamerican Studies in the Russian State University for the Humanities (RSUH). ”VIGIL”: Mrs. Ershova, please, tell our readers what was the contribution of Yuri Knorozov to the study of Maya literature and culture? G.Ershova: The great Russian scientist Yuri Knorozov known, primarily, as a person who deciphered the Mayan hieroglyphics. Moreover, the method of decipherment of ancient writing systems introduced by him became applicable to the Proto-Indian writing system and the writing system of Kohau Motu Mo Rongorongo of Easter Island. Knorozov was one of very few researchers and systems analysts in the field of studying of the Humanities. He worked on such problem as “The Collective Theory”, according to which the principles of social development are considered from the perspective of the evolution of brain functions. Maya writing system was deciphered in the middle of the last century. The first article of Y.V. Knorozov “Ancient writing of Central America” ​​was published in 1952. According to many experts, since that moment American Studies has reached the fundamentally different level. The most surprising for Western scientists has always been the fact that during his work on the decipherment of Maya hieroglyphics, Knorozov had been neither in Mexico nor in Guatemala. Only in 1990, he first visited Guatemala at the invitation of the president of this Central American country and four years later he got a chance to go to Mexico at the invitation of the National Institute of Anthropology and History (INAH). He was very glad to see with his own eyes originals to studying which he devoted all his life. Scientific contribution by Yuri Knorozov is absolutely unique to our country – he established a unique world-renowned scientific school in the field of the Humanities, devoted to studying of not Russian but international cultural and historical heritage. ”V”: Please tell us about the history of the Center. Who was the founder of this scientific association? GE: Center for Mesoamerican Studies was established in 1998 to maintain the unique scientific school of study of the history of Latin America. After the death of Yuri Knorozov in 1999, the Center was named after this great Russian scientist. The Embassy of the United Mexican States took active participation in the establishment of the Center. Thus, at the initiative of the Mexican side the Center was given a library, containing 600 books, which are mainly devoted to the history and culture of Mexico. Many publications there are absolutely unique. Many Russian and foreign researchers of America also have given books to the library of the Center. At present, the unique and special library has over 2,500 volumes. Country's leading specialists in Latin America work nowadays at the Center, which is actively cooperating with institutions of the Russian Academy of Sciences. “V”: The Center operates as part of the Russian State University for the Humanities. How is the educational process organized? GE: Since its establishment the teaching and research center has been serving as one of the university’s departments. There were several graduations of experts in the history and culture of Latin America and a graduation of political scientists, specializing in Latin America. Many postgraduate and doctoral dissertations are defended in our Center. Of course, the staff of the Center is involved in the process of defense of theses of the candidates from other academic and educational institutions. Our Center is developing; we try different methods of studying. For example, we have successfully organized many teleconferences with leading universities in Mexico, during which experts in the Mexican culture, history and foreign policy lectured our students. Since 2007 we have been carrying out a project “The embassies of the Latin American countries for the students of the Center”. Ambassadors and diplomats of Latin America are invited to RSUH, they read lectures on culture, history and politics of their countries. These lectures are open for public. It is also worth noting that the Center has successfully integrated into the international educational system, we aim at providing graduates with professional opportunities equal to people from all over the world. Educational programs aimed at achieving of the “double degree” level are being worked out in collaboration with the University of Veracruz and the University of Tabasco. In the future it will allow students receiving RSUH and one of the Mexico's universities diplomas at the same time. Graduates of the Center are in high demand in academic institutions, state and business structures, television, journalism and tourism. ”V”: Mesoamerican center is known, first and foremost, as the leading school in the study of Mesoamerican writing system and the culture of the lost civilizations that existed in Latin America before the Europeans arrived there. What is the focus of research of the Center, headed by you? GE: The breadth and specificity of Yury Knorozov scientific interests has determined the direction of the RSUH Mesoamerican Research Center activity. First of all, we are talking about research of ancient Maya writing system and the history and culture of pre-Columbian America. The important part of it is the development of theoretical trends identified by Knorozov, such as communication theory, “The Collective Theory”, models of civilizations’ development, archaeoastronomy, the origin of religious consciousness and religious practices, theoretical anthropology. We research the causes and consequences of migration and social problems, ethnic and ecological conflicts, geopolitical and geoeconomical processes. 1. “Epigraphic heritage of Mesoamerica”. It is a long-term program of the Center connected with the preservation and development of the Knorozov scientific school. 2. “The origin of religious consciousness”. This direction of research was the most important for Yuri Knorozov. Here we study the phenomena that are common to all traditional cultures and religious systems. Being determined by the peculiarities of the human brain, they are universal. We comprehensively study the texts, phenomena, rituals and practices, behavioral models, comparative studies of psychophysiology experts. This direction doesn’t have a clear regional linkage. Thus, for example, one of the big projects was the study of phenomenon of the Buryat Lama Itigelov, preserved under the ground for 75 years. 3. “The Collective Theory: the principles of society development”. This working title was suggested by Yuri Knorozov in 1950 to define a new field of study related to the mechanisms of social organization. Knorozov had started with the studying of the role of the private men's unions in the management of society and then had moved to a general theoretical study of the system processes of relationship between society and authorities and development of the statehood. The Center holds regular scientific meetings which bring together leading researchers from academic and educational institutions of Russia, CIS and Baltic countries, Poland, Mexico, Guatemala, France, Spain, Italy, Austria and Germany. Traditionally, most talented students get an opportunity to make speeches at such meetings. This is also one of the Knorozov’s principles to reckon all who have something to say on the subject as competent colleagues. The Center conducts round-table discussions on topical issues of Russian-Latin American relations. The discussions involve representatives of Russian scientific, political and social organizations. It should also be emphasized that within the frame of the scientific and educational work the Center collaborates with the executive and legislative branches of power in Russia, institutions of the Russian Academy of Sciences. The leading museums of Moscow and St. Petersburg are also our partners. The Center collaborates with scientific schools of different countries - Mexico, Guatemala, Brazil, Argentina, Italy, Spain, Poland, Germany, USA, Holland and France. There are leading scientific and educational organizations of Mexico and the Foreign Ministry of this country among Mexican partners of the Center. “V”: Is there an abroad scientific branch of the Center? GE: Yes, such a branch exists. An important event in the promotion and development of the Knorozov School was opening of “Knorozov Center in Shkaret” (Mexico) on December 3rd, 2010. This project was initiated by RSUH, University of Veracruz and Shkaret Park. It is symbolic that it happened on the 120th anniversary of diplomatic relations between Russia and Mexico. The established research center is unique and its main task is the preservation and development of the scientific school of Yuri Knorozov. Thus, the “Knorozov Center” may study writing, language, history and culture of Mesoamerica at its own base on the Maya land in a beautiful cultural and natural park. There is an amazing that “Knorozov Center” building is located near the ruins of the ancient Mayan city Ppole. It was in this city, where last Maya manuscript was found and it happened in the middle of XVII century! In addition, it appears that it is very possible that one of the three surviving manuscripts of the Maya – Madrid one – is connected with Ppole. The center has received support from governments of both countries. Ministry of Foreign Affairs of Mexico has expressed willingness to provide grants to Russian researchers for scientific work in Mexico. In February 2011 “Knorozov Center” in Shkaret began implementation of scientific and cultural projects. ”V”: What projects are implemented by Mesoamerican center in the field of cultural exchange? GE: We implement a variety of cultural projects, fine art exhibitions and various presentations are among them. Let me focus on one of the most extraordinary cultural and scientific projects of the Center - the reconstruction of image of Bernardino Ken, the hero of the Caste War, which took place in the 19th century. His skull was exhibited in 1995 at the Caste War Museum in Tihosuco settlement (Yucatan, Mexico) which considered being the last center of resistance of the Indians, trying to get rid of the “aliens” and liberate their land. The revolt was crushed by the government troops and the leaders were killed. The cruelty of these events can be estimated by a miraculously preserved skull of Bernardino Ken, whose head was literally cut in half. The skull was exhibited at the Museum of Indian settlement as a “portrait of a hero” that became the object of worship for the local Mayan Indians.